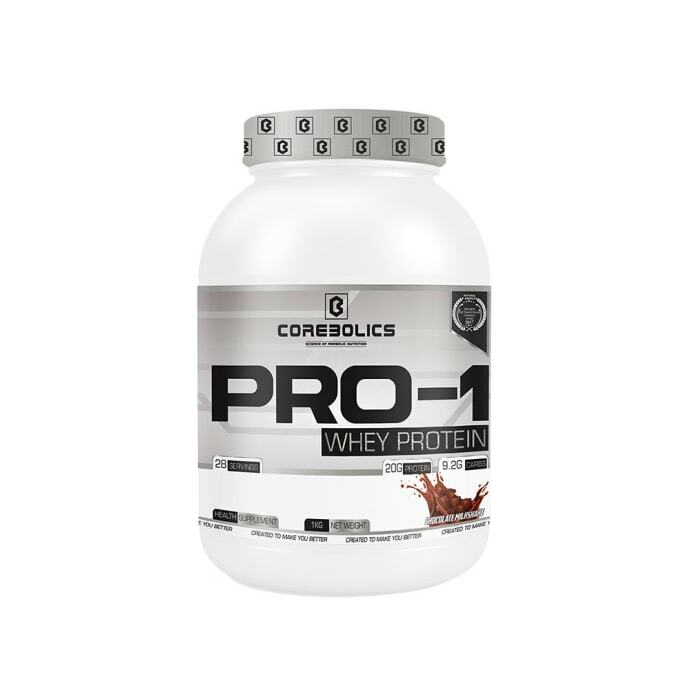 Corebolics Pro-1 is a health supplement which is formulated with cold processed Instantized whey protein concentrate. Whey concentrate has a high biological value. It is formulated with optimum protein and carbohydrate ratio. It contains essential proteins, fats and fatty acids. It has a delicious taste and is available in different pack sizes. Mix 1 scoop ( 35gm) with 200-300ml water or skimmed milk. Use a blender or a hand held shaker. Mix for 30 seconds. Have 1-3 servings daily depending on daily protein need.